London - Caster Semenya bagged South Africa's sixth medal at the London Olympic Games, when she finished second in the women's 800m final on Saturday night. Semenya, the 2009 world champion, crossed the line in one minute, 57.23 seconds, a season's best. The race was won by Mariyah Savinova of Russia in one minute 56,19 seconds. Ekaterine Poistogova of Russia was third, in one minute 57,53 seconds. Savinova finished the race in a season's-best time, beating Semenya by 1.04 seconds. The 21-year-old South African had qualified fastest for the final. Kenya's defending champion Pamela Jelimo had taken the pace up 300 metres out but was overwhelmed by Savinova's burst and the 22-year-old was passed by Semenya and edged out on the line by Poistogova. Semenya was last with 250 meters to go, and her strong finishing kick only carried her to silver while Savinova raced away to an easy victory. For Semenya it was a second successive silver medal at a major championships - she was second in last year's world championship - after being cleared to return after a traumatic time following her world championship win in 2009. 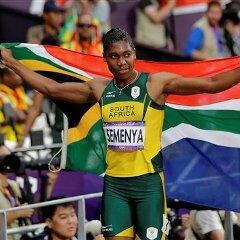 Semenya had to undergo drug tests followed by gender tests following that magnificent victory in Berlin. She was barred from the track for almost a year before being cleared to run again and her comeback was hampered by a lower back injury and a growing belief that coach Michael Seme had taken her as far as he could. Former 800m champion Muria Mutola took over Semenya's training and is her current coach. 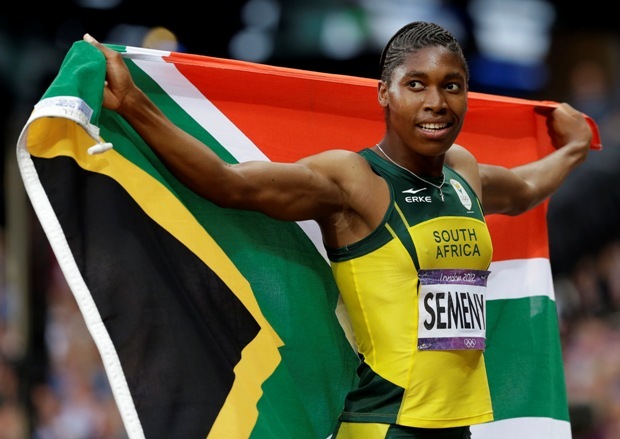 Semenya was South Africa's flag-bearer for the opening ceremony of the London Olympics. "I'm very happy with silver at (my) first Olympics," she said. "For me it's a successful career. For now, I just have to concentrate so I can win the next Olympics."